Western electric 46 playing to we13a. Certain that this never happened in the history of sound as the we13a was never shipped to Europe given its short life span. Now if anybody knows better please tell us….! But reckon that there is something special to have a we46 to drive a big western electric horn. The salvaged ones need work and striping back to original….then need some fixing on HT filtering, bypass input transformer etc….then sit and enjoy a bit of history…. 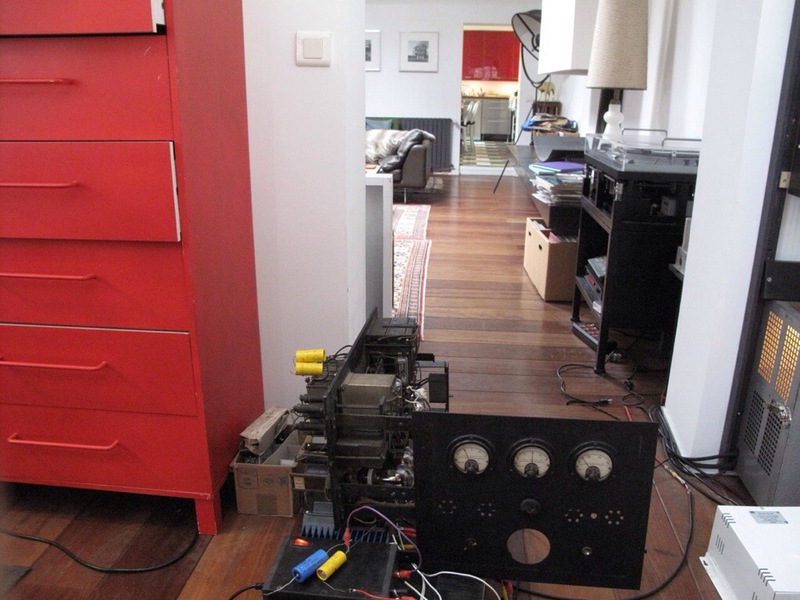 Oh this is not HiFi at all, actually anybody who is seeking HiFi would probably find such a sound off their standards. Anyway here are the guts before I put back into its enclosure and enjoy the ride. Checking voltages and capacitor leakage etc….as it stands there is very little hiss or hum at the high efficiency we13a, bass or tweeter. Far less that I have heard in other we46 installations. 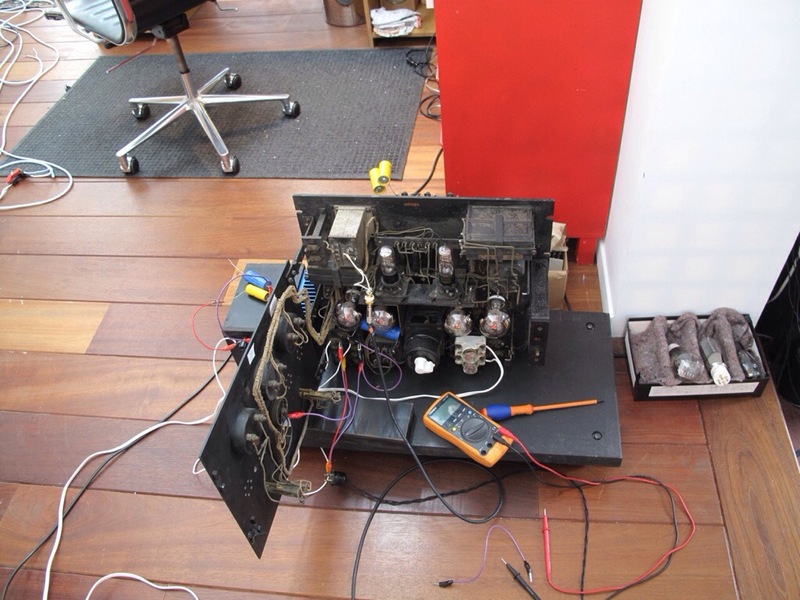 Okay here we are using the Chinese 205d tubes before I pop in my western electric ones….input stage are we264c tubes. Filament power supply is solid state and I know from experience from using the we49 that taking the DC from the tungar to power the filaments, albeit with and extra choke, makes a world of difference (thanks A) but later….for now lets see if it all holds in place, sings and stays cool! ‹ PreviousHow to spend it…..